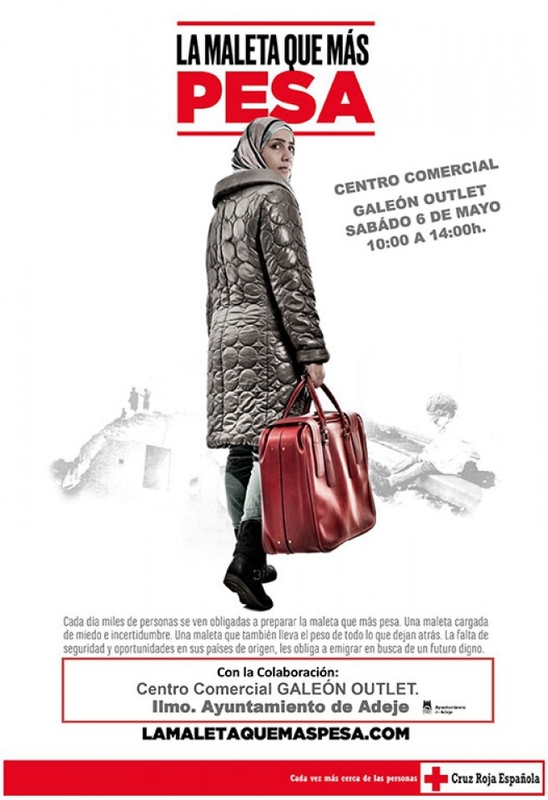 “La maleta que más pesa” or 'the heaviest suitcase' is a campaign by the Red Cross which aims to challenge the negative perceptions surrounding immigrants. This Saturday in El Galeon Outlet the campaign continues with a game called 'The Real Pursuit' which asks the general public to answer a series of questions about decisions you never want to have to take. The game aims to increase awareness among residents of the island after they conside the real-life stories and dilemmas faced by individuals and what led them to immigrate. This 'body, mind, and soul learning experience’ is aimed at over 18s and is open to the public between 10am and 2pm on the 6th May. For more information see www.adeje.es/participacion or www.lamaletaquemaspesa.com.